Neuritis of the facial nerve can occur suddenly on the background of viral infections, intoxication, colds, bad teeth, after dental treatment , etc. Just one morning, the person feels pain on one side of the face, warps the eyes, the mouth, it becomes impossible to eat and talk, even brushing your teeth becomes a problem. To get rid of this disease, you should immediately take a nonsteroidal anti-inflammatory agent and to address to the neuropathologist. The sooner treatment is started, the more likely that it will be successful. No folk methods for treatment of trigeminal do not use as you tighten the time, and to treatXia will last longer. Only in hospital it is possible to achieve a complete cure. No neurologist will not prescribe outpatient therapy. The hospital carried out a course of antibacterial therapy, physiotherapy, intravenous fluids with drugs that enhance blood circulation of the brain. Prescribe a course anti-inflammatory hormonal therapy, sedative injections. The course of treatment can last from 14 to 30 days depending on the results of therapy. In some cases, full recovery takes from six months to a year. 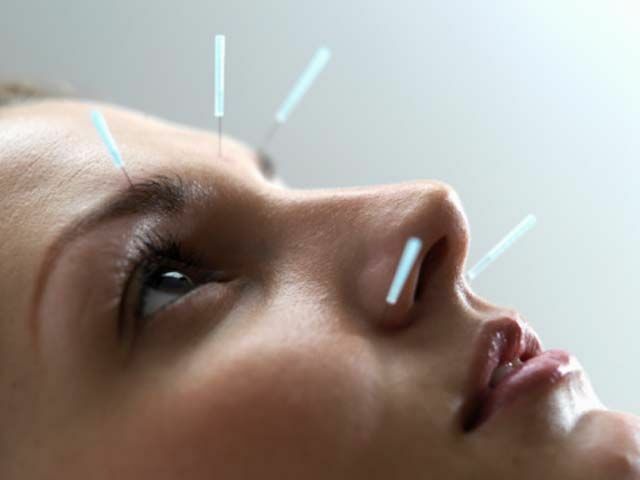 All this time there is facial asymmetry and the patient is assigned to acupuncture, reflexology, gymnastics of the facial muscles, massage. Still in the hospital begins to be the correction with plaster. For this patient in front of the mirror captures the eyebrow, eyes, lips, band in a normal position for 2-3 hours several times a day. If the patient is not timely appealed to the neuropathologist, pathology and asymmetry may remain for life. After discharge from the hospital, but the assigned products and procedures, you can warm the facial nerve paraffin compresses, red and blue bulbs, salt. Definitely need to go further complete a course of acupuncture, reflexology, make magnetic resonance imaging of the brain, because very often neuritis develops on the background of multiple sclerosis or intracranial pressure. Only after the full course of treatment, execution of all necessary procedures, can hope for complete recovery and restoration of a symmetrical face shape.